Where are all the basketball hoops in Fortnite? 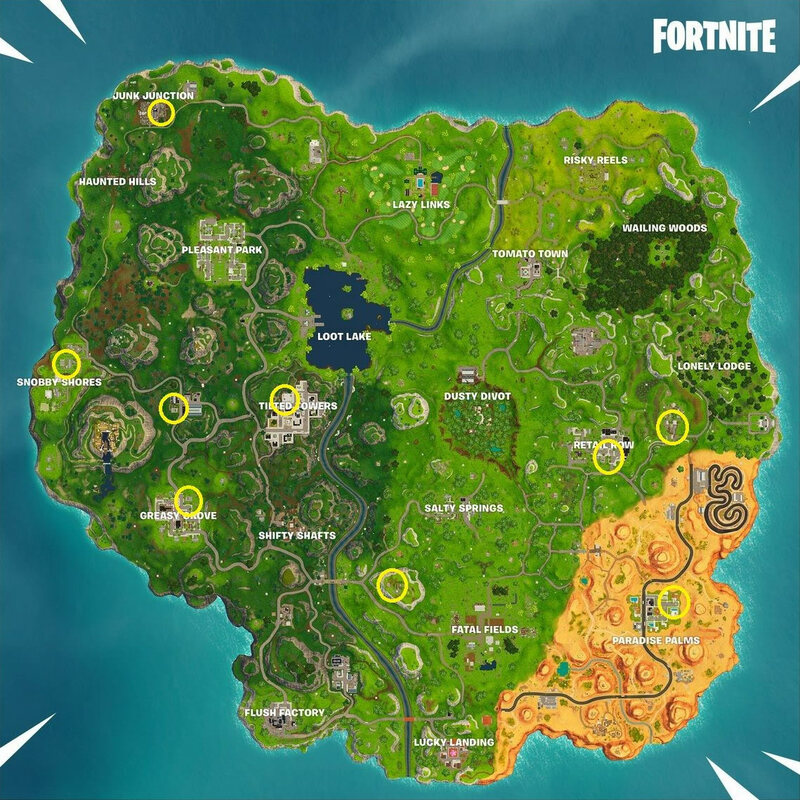 We break down the location of each court players need to find to complete the Season 5 week 2 challenge. Season 5 of Fortnite gives players plenty of new locations to explore, new weapons to master, and new challenges to undertake. Toward the latter end, the game is currently offering its week 2 challenge which involves scoring a goal on five different basketball hoops spread across the Fortnite map. Actually scoring the goals isn't too difficult, but tracking down the location of every basketball hoop might require some extra effort. Fortunately, we know just where players can find every basketball hoop featured in the game. It should be noted that players won't be able to complete this challenge until they unlock the basketball itself by reaching tier 11 of the Season 5 Battle Pass, which shouldn't prove to be much trouble for players who drop into Fortnite fairly often. Once it's unlocked, simply assign it to a slot in the menu alongside the character's other emotes. After that, the next step is to discover the location of one of the game's many basketball hoops. Luckily, this step is simple: just check out the basketball hoop locations on the map below. In return for their in seeking out hoop locations and scoring goals, players completing the Fortnite basketball hoop challenge will be rewarded with five battle stars and another chance to potentially level up their Battle Passes. To stay on top of the latest Fortnite news, guides, and challenges, be sure to keep it tuned to Shacknews' Fortnite home page.